There’s no denying that fall is in the air. Even though down South we’re still experiencing 80 degree weather, the leaves are changing and the Holiday’s are right around the corner. So how can you make your event feel even more fall-like despite the temperature outside? Decor! Dark uplighting is a great way to make a space feel warmer and more intimate. 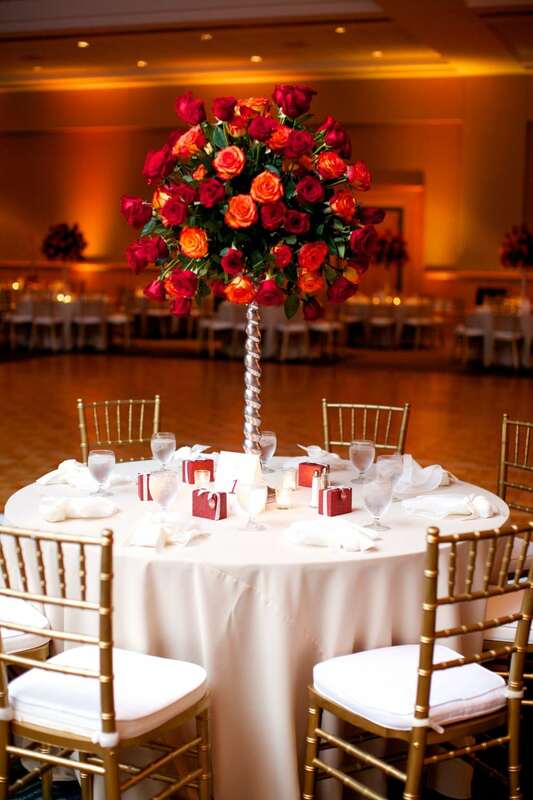 While during the summer more events typically use white and pale blue uplighting, during the fall they transition to reds and golds. This warm red and orange uplighting created a cozy fall environment. Lace, lace, everywhere lace! I don’t know what it is about fall but we all just fall in love with old fashioned decor. The romantic feel that lace gives to a wedding is timeless. 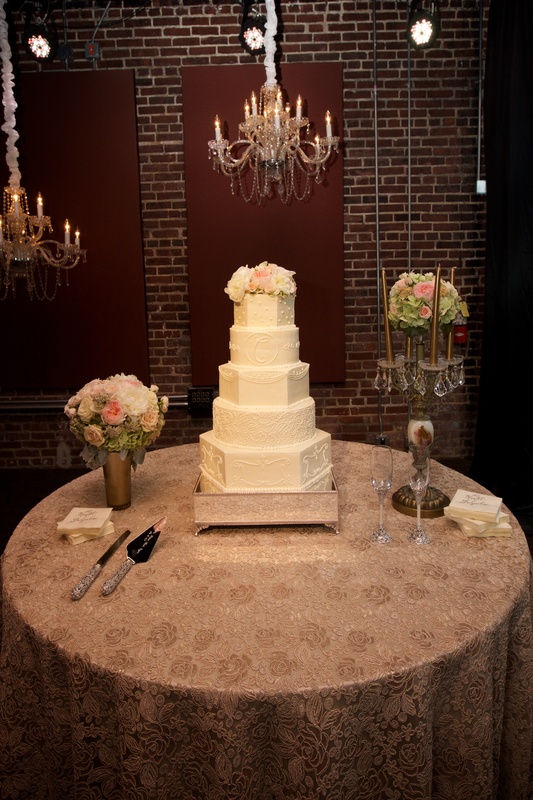 Lace can be used from linens to the texture on your cake to the bride’s dress. It’s an easy way to add a subtle theme to the wedding while not popping a bright color. Our Florence Lace Linen is perfect for fall weddings. By putting a burgundy or navy linen underneath you create a warm and romantic table. 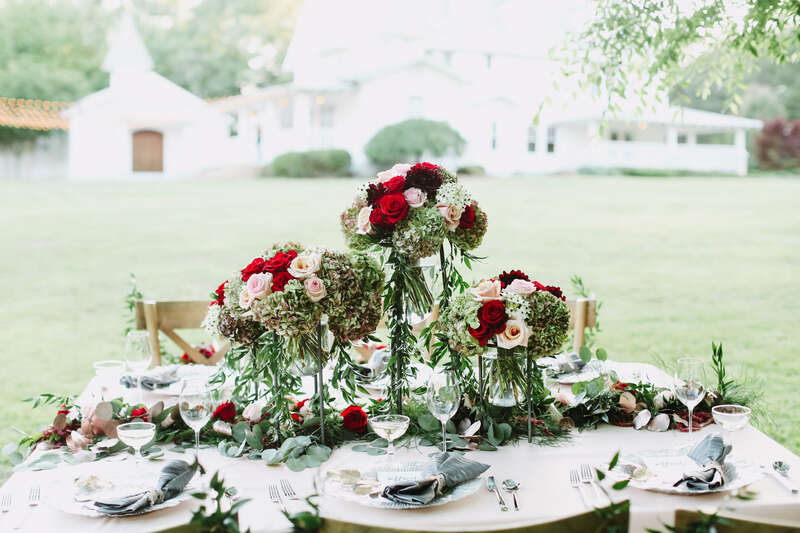 While spring and summer bring bright colors of pinks and blues, fall is more about the neutral colors and using natural components in the center pieces. Pumpkins are a popular item but if you’re looking for a more unique piece try using leaves and vines that can be stretched down long tables, and sunflowers and warm candles for your round tables. Your linens can make a huge difference in the feel of your room. If you want an elegant and simple look, white or ivory are your best options. If you’re looking for a formal feel, black linens may be what works best for you. But don’t forget, linens come in more than three different colors. Brown, green, and orange are some beautiful options for a fall wedding linen. 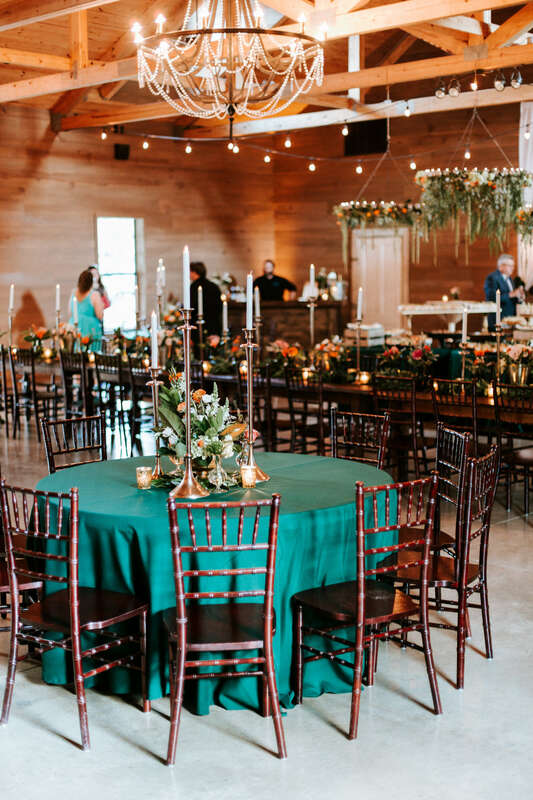 The entire room at The Barn At Shady Lane embodies exactly what a fall wedding is thought to be. These fall items will guarantee your wedding to feel warm and intimate. Every wedding has it’s own unique feel and adding your own personal touches will make your day even more special.